The history of� Vietnam� is as complex as it is fascinating. Travel back in time with us to the days of peasants and emperors, colonisation and revolutions to discover the lineage of some of Vietnam’s most essential dishes. Here’s how� phở ,� bánh xèo and� cà phê sữa đá shine a light into a complex country. The known history of Vietnam began around 12,000 BC, when the indigenous people of Vietnam settled in the Hong River Valley. There it was possible to sustain life through hunting and harvesting plants. 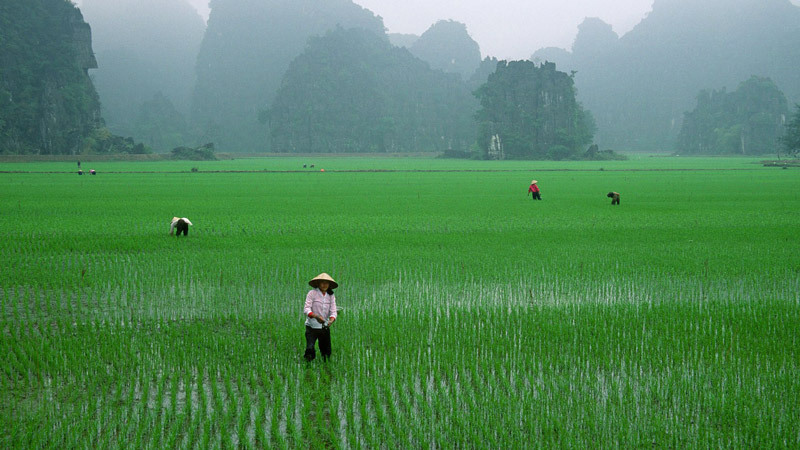 Six thousand years later we can see evidence of agricultural advances, and the Vietnamese people began wet rice farming. This rice, as well as the herbs, plants, fish and meat readily available on the fertile lands of Vietnam, was the early base of the Vietnamese diet. Though rice has always been one of the nutritional staples for the Vietnamese people, the cuisine would eventually evolve as cooking tools became more sophisticated, and as the influences from other countries became stronger. In the 2nd century BC, the entirety of what was then known as Nam Viet was considered to be a Chinese province. For 1,000 years the Vietnamese people would live under the reign of various Chinese dynasties, and this proximity, though often fraught with political strife, would have a by-product: noodles. 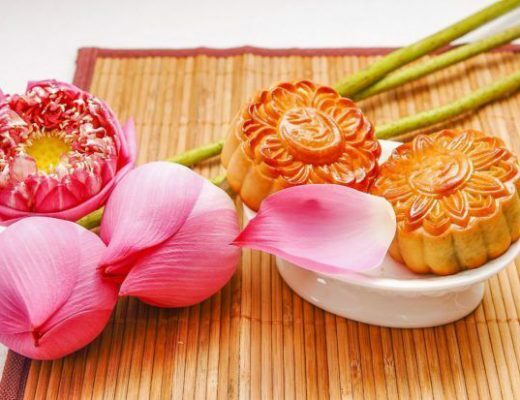 Noodles were invented in China sometime around the time of the East Han Dynasty. Originally made with millet or other grains native to China, the recipe soon expanded to include new forms made with wheat, rice and eggs. 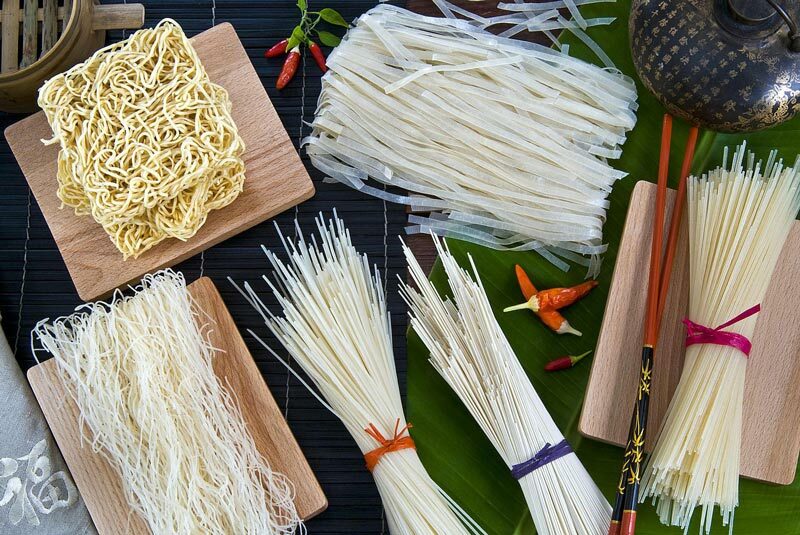 These noodles and the techniques needed to create them were exported to Vietnam; soon they were being used in� different and delicious ways. Here we are, more than 2,000 years in the past, and noodles have come to Vietnam, so this must be when� phở was invented, right? Wrong. Surprisingly,� phở, the most famous Vietnamese dish in the world, was only created in Northern Vietnam in the early 20th century. By then the Chinese rule in Vietnam had long come to an end and the colonialist French had arrived on scene. From 1887 to 1954, Vietnam was an essential part of French Indochina, and the� strong culinary influences of� la cuisine Francaise� in modern Vietnamese food can still be seen today. The fusion of Vietnamese noodles and herbs with a French beef broth is likely the basis for the original� phở. In addition, the word for the soup itself has French roots. 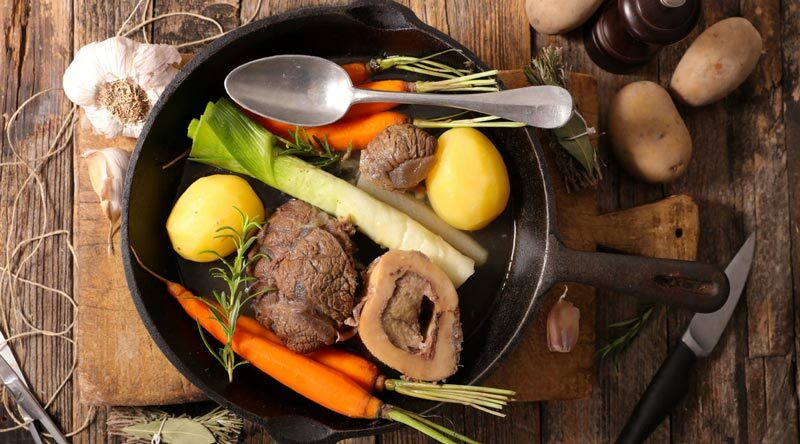 The French word� pot-au-feu literally translates to pot in the fire. A� pot-au-feu is traditionally made by boiling beef bones and vegetables in water and then adding meat to make a soup. If you pronounce� phở so that it rhymes with ‘duh’, you will get pretty close to� feu,� the French word for fire. Like� pot-au-feu,� phở had a humble beginning as peasant food. Nomadic vendors, from the village of Van Cu in the Nam Dinh province, could be seen in the early 1900s walking with flexible sticks balanced across their shoulders and two huge barrels of soup attached to either side. They sold the soup to anyone interested in a good meal on the roads outside of� Hanoi. Chinese migrant workers loved the soup because it reminded them of food from home. French missionaries and colonial settlers loved it because of the rich, meaty broth. The Vietnamese loved it because of its flexibility in regards to ingredients, and the fact that boiling the broth for so long would also rid it of any bacteria. And today? The various options� are plentiful. 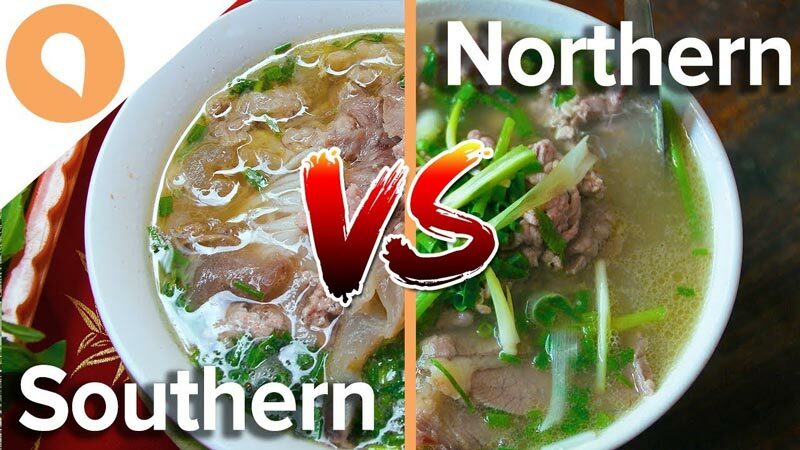 The flavourful mix of cultures didn’t end with� phở. The Vietnamese took the French baguette, filled it with their signature marinated meats, seafood, paté or eggs, added herbs, pickled vegetables and chili and called it a� bánh mì. Bánh xèo, a thin pancake filled with bean sprouts, shrimp, and pork, could have some roots in the French crepe, except instead of using wheat flour, eggs and milk to create the batter, the� bánh xèo is made of rice flour, water and turmeric, ingredients far more readily available in Vietnam than the dairy-filled French version. Chocolate and coffee brought over by European colonialists were adopted by the Vietnamese and turned into� sô cô la and� cà phê. Now, rather than the milk chocolates of Europe, the Vietnamese favour chocolate so dark and intense it is almost black.� Cà phê is brewed strong and has a hefty dose of condensed milk poured into it to make it rich and sweet. French colonial rule in Indochina was wiped out during World War II but the fusion of the two cuisines still remains inexorably linked. At the Geneva Convention in 1954, Vietnam was split in two and many Northerners migrated to the South, bringing their recipes with them. In the South, the year-round sun makes the land more fertile than in the North. Cooks in the South began to add suddenly available produce like herbs, lime, and bean sprouts to the� phở mix. The broth became spicier and more dominantly sour. This Southern-style� phở� has now become the international standard. After the American War, hundreds of thousands of Southern Vietnamese journeyed to other countries. Many of these immigrants made their living by opening restaurants and sharing their cuisine with their fellow immigrants, as well as their new compatriots. As Vietnamese cuisine began to find a foothold all around the world, rice production hit an all time low back home. Changes to the structure of farming decreased motivation and led to widespread rice shortages. In addition to the low food production, much of Vietnam’s agricultural land had been damaged during the war. 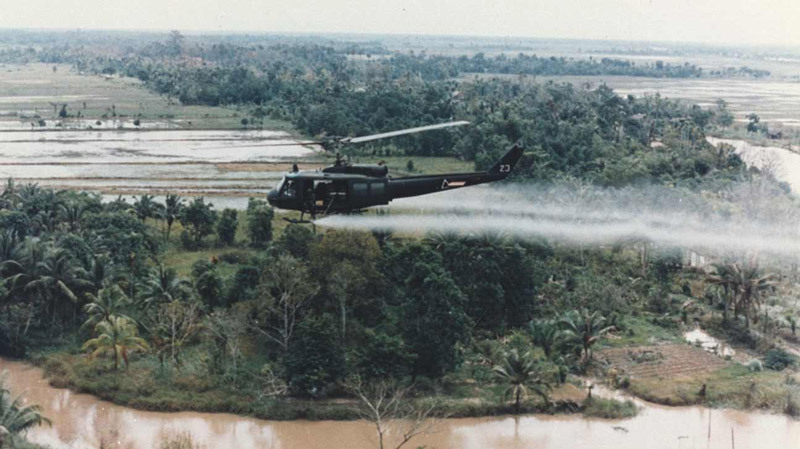 Rice paddies were laden with mines and Agent Orange had seeped into the soil. Nobody, not even those who had previously enjoyed the benefits of being in the upper echelons of society, had enough rice for three meals a day. People were forced to mix their rice with white potatoes, sweet potatoes, and sorghum, a grain known for being particularly difficult to chew. By the 1980s Vietnam was ranked as one of the poorest nations in the world. Now Vietnam has undergone a remarkable transformation and famine has turned to abundance. The country is the fifth-largest exporter of rice in the world. Vietnamese parents are now more apt to overfeed their children rather than underfeed them, because after all the years of malnutrition, a chubby child is now considered to be healthier and more attractive. 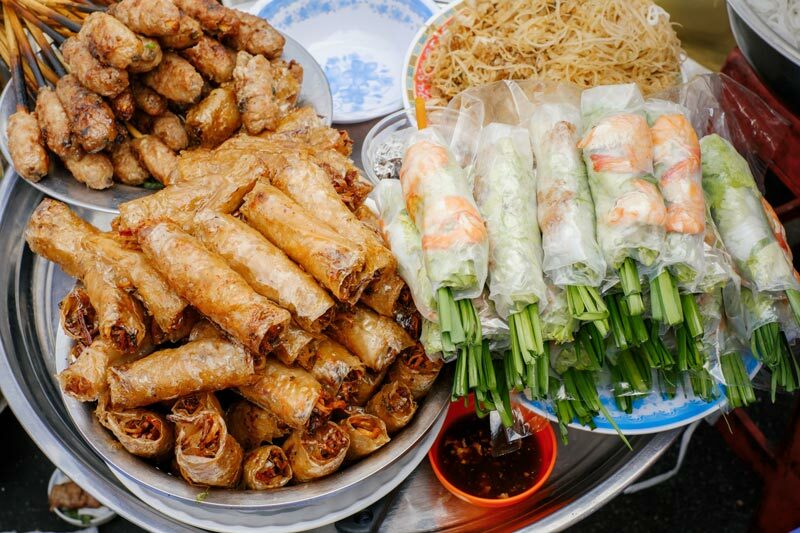 Newfound prosperity has also changed the food culture in� Vietnam, leading to some growing pains. Concerns about ‘dirty’ food, fast food and obesity are on the rise, as Vietnam attempts to find its balance between increased wealth and decreased health. Despite these issues, Vietnam is enjoying a culinary heyday. The ability to reinvent, renew, refresh, while staying true to one’s origins are things all chefs should aspire to, and that Vietnamese tastemakers have been able to accomplish. Walk down any street in Vietnam and you will find restaurants and cafes spilling out onto the sidewalks. From meat grilled on makeshift BBQs in the middle of a busy intersection to high-class restaurants serving only the most refined dishes, the flavours and fundamentals of Vietnamese food delight the palate and surprise the senses. From a new interest in food tourism to the increased popularity of Vietnamese food overseas, the culinary path of Vietnam is continuing to evolve. So what’s next? Perhaps, Vietnamese cuisine will be inspired by the Western farm-to-table movement. Or maybe it will go down the road of mass-marketing and we’ll find our favourite Vietnamese chefs hawking frozen� phở dinners on TV. Regardless, one thing remains clear: the Vietnamese people have been able to weather wars and occupations, famine, and feast, all the while adapting and transforming their remarkable culinary heritage. Whatever’s next is sure to be delicious.